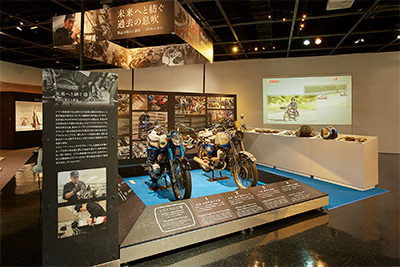 Exhibitions - Communication Plaza | Yamaha Motor Co., Ltd.
Information about exhibition duration and content. Yamaha Motor always seeks high-quality Monozukuri in tune with human sensitivities, and while we dedicate ourselves to devising original and innovative concepts, creating technologies that maximize fun and reliability and conceiving designs embodying Refined Dynamism, we have continued polishing our craft to bring them to life as products leveraging our long years of technical expertise and know-how in the realm of manufacturing and production. 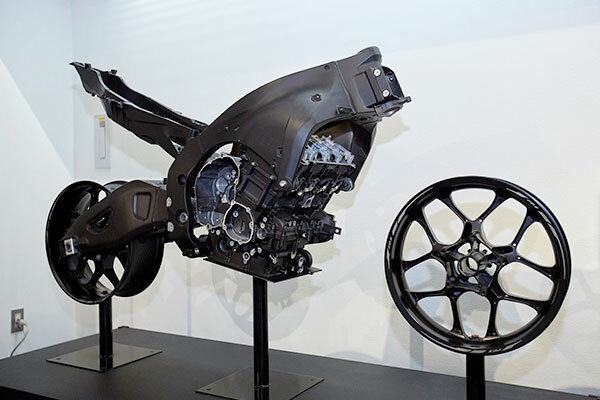 Among these is our casting technology for creating metal parts for motorcycles, outboard motors, automobile engines and more. 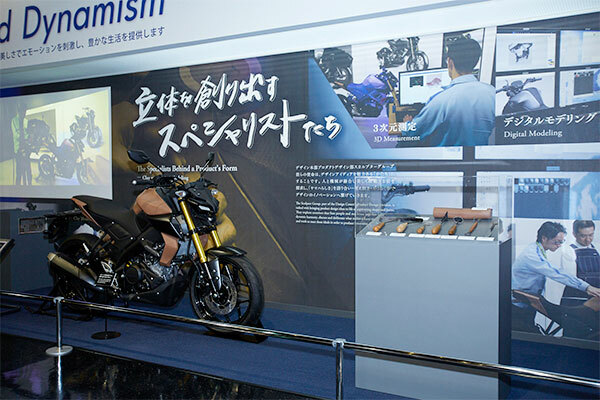 Our history in casting stretches back to the era of Nippon Gakki (today’s Yamaha Corporation), from when we built our first motorcycle—the YA-1—to the present day, with our expertise growing with use in a variety of products. 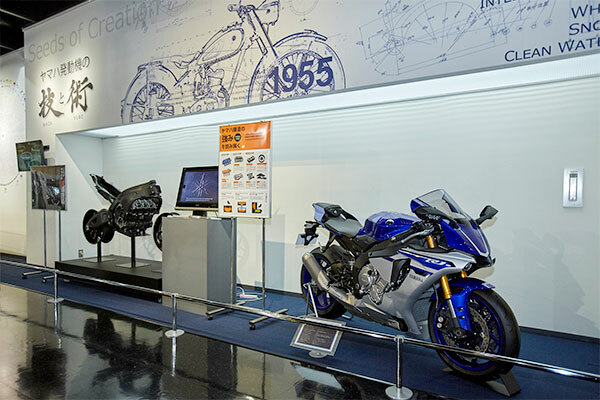 This exhibit features the YZF-R1 and MT-09 as examples and introduces the standout points of Yamaha Motor’s casting technology. 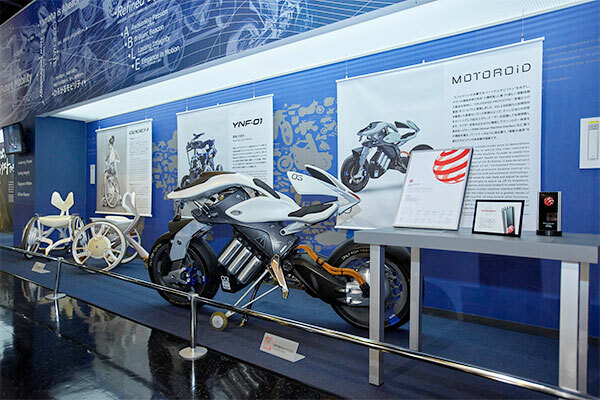 “Refined Dynamism: Yamaha captivates users and helps create vibrant lifestyles through unparalleled beauty and dynamism.” This is Yamaha Motor’s Design Philosophy, and in the Plaza’s 1st floor Design Zone, we go into detail about the design work and features of various Yamaha products. This exhibition covers the process of turning ideas into three-dimensional form and refining details for the final product. Through videos and displays of an actual clay model and work tools, we introduce the masterful skills our sculptors employ in the process, ranging from clay modeling to digital modeling and 3D measurement. 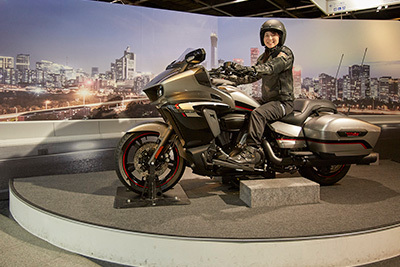 We have also put the multi-award-winning MOTOROiD autonomous motorcycle on display nearby. The products born of our engineers’ technology and craftsmanship bring color and fulfillment to the daily lives of our customers until their service life quietly comes to an end. Restoration is the process of once again breathing life into Yamaha products from our past, and we continue to restore these products to their original condition to preserve as well as build on our corporate culture. This exhibition celebrates the 20th anniversary of the Communication Plaza and features the work we do to restore the numerous products we have on display and house in our collection. The process of cleaning and buffing a worn and weather-beaten model—at times designing and machining parts from scratch—serves to bring back to life the knowledge and passion of the engineers that built it and pass it on to younger generations. 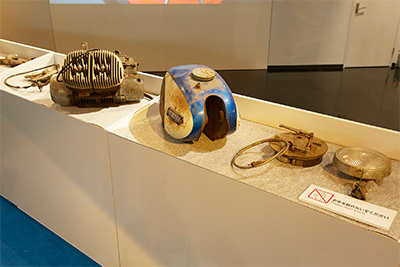 This exhibition introduces Yamaha’s restoration work, covering not only the motives behind it but also the methods employed and the process itself to return past models to their original appearance as well as performance, maintaining them that way for future generations (dotaihozon). 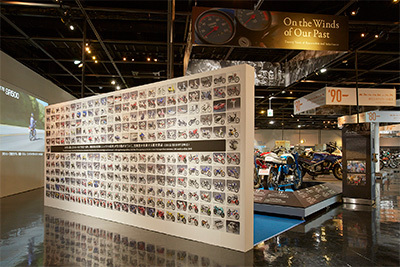 The Lifestyle Display Area on the 1st floor features displays of various Yamaha products set in attractive or familiar scenes symbolic of our desire to deliver Kando and a more fulfilling lifestyle to people everywhere. 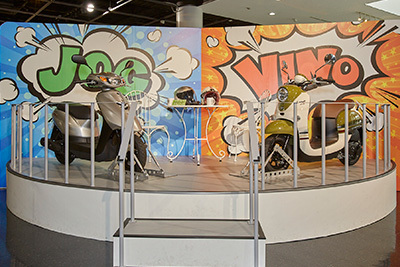 The theme for the current Lifestyle Display Area is “the allure of life on two wheels.” If you're looking to freely navigate and zip through city streets to go shopping or for commuting to work or school, a clever and convenient 50cc scooter might fit the bill, like the fashionable Vino or the agile and more aggressively styled Jog ZR. Or does the flagship Star Eluder cruiser’s massive 1,900cc engine, cutting-edge technologies and a chassis designed for comfortable long-distance tours draw your interest? 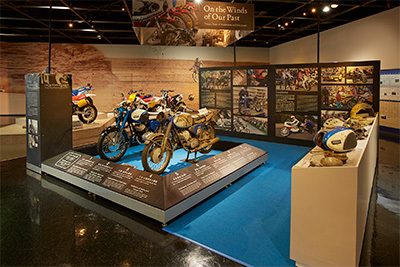 This display area allows you to step onto the stage decorated with riding apparel and backgrounds in the image of where and how these models are intended to be used. Feel free to hop on and strike a pose for biker cool or biker cute for a quick snapshot! The all-new 1,900cc Star Eluder cruiser was designed for comfort while crossing the continental United States.